The Professor in Psychology who Started his Career as a Palm Reader! 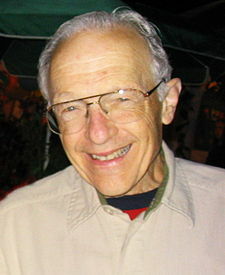 Ray Hyman, Prof. in Psychology. ‘No-no!’ This is not the story of the British ‘finger-professor’ Professor John T. Manning – who became famous for his finger length ratio studies. This is the story of another psychologist: Professor Ray Hyman! Who started his career in psychology at Boston University (USA) with a rather remarkable experience in the field of palm reading. In a 2007 interview he told the story of how he got interested in the ‘psychology of self-deception’. As a college student, he tried to earn some money as a palm reader by read several books on the art of ‘palmistry’. However… he didn’t believe any of it! However, young Hyman got so much positive feedback from his customers, however, that he started to think that maybe he did have psychic powers. The self-deception didn’t last long. This is how Hyman discovered that it didn’t really matter what he told the people who’s hand he read. Because in his experience he found that his clients would figure out a way to make him right. Hyman later became an expert in understanding ‘cold reading’ and ‘subjective validation’, the words that are used today to describe the process of making claims with no basis in fact or palm reading study and having them validated as true by others.